Wendy was born in Roseville, California, and raised in Bountiful, Utah. She began singing lessons at the age of seven with Ralph Woodward, Jr. She actually had plans to play the flute in college, but late into high school, her music teacher watched her high school performance in The Sound of Music and suggested she switch to a career in voice. She took the advice happily. Harmer attended The Boston Conservatory and was almost unable to graduate due to the high rate of tuition. When a professor discovered her economic worries, this teacher helped young Harmer to earn financial aid. Wendy graduated with a Bachelor’s degree from The Boston Conservatory and soon after left to continue her studies at the Music Academy of the West. Wendy Bryn Harmer has performed in the Metropolitan Opera and debuted as “First Bridesmaid” in Le Nozze di Figaro in 2005. 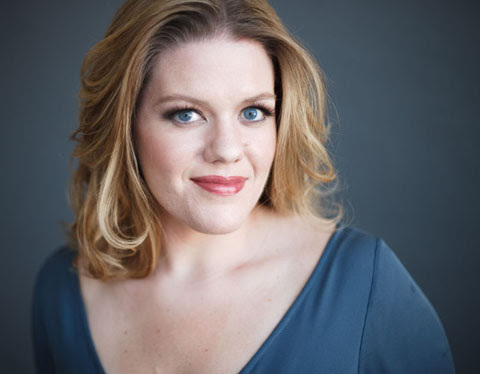 During the 2017 winter season, she will perform in Die Zauberflöte as “First Lady.” She’s also worked and performed in Seattle, San Fransisco, and St Louis, as well as performed as a soloist with the Mormon Tabernacle Choir. Harmer is married and has two young children—an adopted son and a biological daughter. You can check out her interview on Opera Warhorses to learn more about Wendy’s journey.